If you’ve ever wondered about the patterns of human relationships, the way couples move towards children and the defined domesticity of houses, gardens, socialising with friends and alcohol. If you’ve ever wondered what wildness still remains in our increasingly urban society, this might be a book for you. How to Be Human explores the boundaries between the human, the domestic and the civilised and the animal, the untamed and the wild all within one area of East London where a cluster of houses surround a small area of wasteland some consider woodland. In among the dumped wardrobes and mattresses grown over with blackberry bushes, surrounded by ivy-covered trees, on a small patch of land that sits between the fenced-in human gardens, lives a fox. This is his territory. He moves between the gardens and houses, the woodland, under the fences, leaving his mark, scenting what belongs to him. When he starts to visit Mary, a woman not long out of a failed and controlling relationship, something shifts for her. The confined propriety of London living begins to fray alongside what others in her street consider to be her sanity. She begins a relationship with the fox. Unable ever to name him, the novel stumbles over all the muddied territory of human animalness, exposing our attempts at civilisation for the games they are. What does it really mean to be human? What does it really mean to breathe, to live in our senses, to explore the world through the edges of our skin? How to Be Human tries to ask those questions. It has us, like Mary, scrabbling on our knees through the nettles. 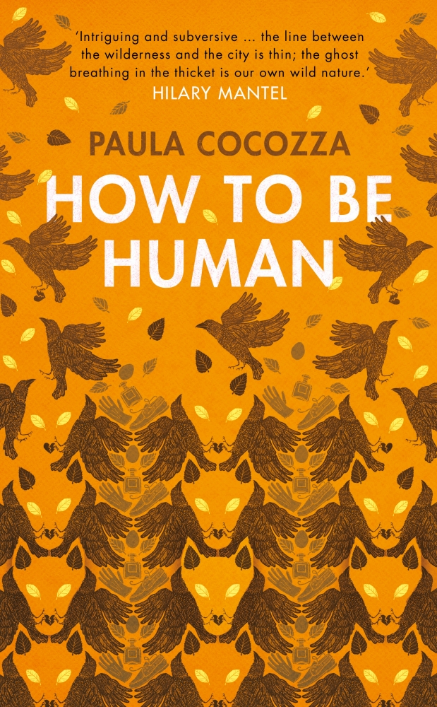 How to Be Human is a fun novel with many complex questions inside. Alongside the petty world of the human neighbourhood are the deeper questions of human existence. For this reason, How to Be Human is a delight to read. I think part of me wanted something sharper, something angrier at its core, a fuller wider exploration of the fox and how he thinks, but this might have made it a different novel. As it is, How to Be Human is intriguing and surprising in all the predictable ways we try to imagine we don’t conform to. 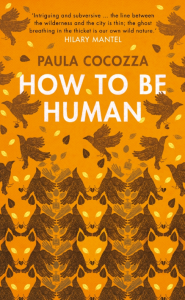 I will look forward to Paula Cocozza’s next novel and would be surprised if this book doesn’t find it’s way onto a few awards lists. I’ll be reviewing House of Names by Colm Tóibín next.